It is the perfect solution for the executive office or small meeting space of up to 4 people. Conserves desk space with a small footprint and a 17” LCD that doubles as a PC monitor. Incredible video using the latest in video technology and standards. Superior audio performance with stereo microphones and speakers. Easily share data, videos and pictures with all conference participants. It is ideal for remote offices and small meeting spaces, of up to 5 people. 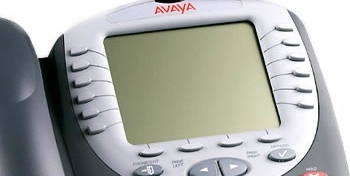 Easily connects to any TV display, and is controlled by the Polycom universal remote. Outstanding video and audio with the latest technology and standards. Integrated camera and microphone for an easy fit in small offices and constrained spaces. Easily share data, videos and pictures with all conference participants. It is perfect for smaller conference spaces and groups. It has a big bang for the price. Premium video and audio performance with great functionality. All conference participants can easily share data. 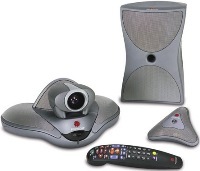 Can connect to any TV or XGA display, and is operated by Polycom universal remote. It is ideal for medium to large rooms of up to 40 people. Incredibly natural imaging using the latest in video technology and standards. Embedded speaker and subwoofer for superior audio performance delivering high-quality sound. Easily share presentations, movie files, audio clips and pictures during a video conference. Can connect to any TV or XGA display, and is operated by Polycom universal remote. It is ideal for medium to large rooms of up to 40 people. Fits seamlessly with any meeting room, flat panel displays, plasmas and LCD's. Industry’s most advanced video technology, Pro-Motion™ offers smooth, natural motion and sharp clear images for outstanding video. Industry-leading audio capabilities with Polycom StereoSurround™ offering voice clarity during simultaneous conversations. Call any standard base conferencing system easily without worrying about audio and video compliance. Easily share presentations, movie files, audio clips and pictures during a video conference. Versatile, connecting to any TV or XGA display. Simple, portable cart designed to fit into small meeting rooms or classrooms where basic functionality and size are the predominant factors. Finished in glossy black wood complements any conference room environment. Accommodates up to one 32” monitor. Includes open front and rear access for easy setup and maintenance. Standard with twin wheel casters, including wheel locks for optimum mobility. Includes a standard rack mount system as well as an adjustable interior shelf to accommodate various video equipment, such as a DVD player or document camera.